As creative solutions services take on new projects, it becomes too easy to neglect the importance of keeping old blogs and websites updated. This article will present you with some cool and trendy ideas that you can quickly apply to your existing sites to improve their user friendliness. Remember, not every website needs to be updated and some concepts presented here may not be applicable. Nonetheless, each tip aims to create a more aesthetically pleasing website that is both responsive and user-friendly. The potential benefit you will get from improving user experience is immense. By testing user experience (UX), you will be able to determine which aspects of your website people like. You will also be able to see which parts aren’t working and need improvement. Aside from digital tools, it is very important for you to test the website on real human subjects like your colleagues, family, and friends. Don’t just settle for typical web font families. Choose attractive dynamic fonts for your website. If you want really cool fonts, Google Webfonts is your friend. The good thing is that you don’t need to have a Google account to gain access to a wide inventory of fonts. It is not uncommon nowadays for websites to use full-screen photos as a background for their websites. Find large hi-res photos that are suitable for your business and use it as an attractive background to your content. There is no need to change the color scheme of your website. What you may want to do is to add a bit of color that compliments the existing palette of your website. Adding a dash of color will surprise your visitors who are used to how your site looks like. These days, most offshore web development professionals utilize sharing badges to connect website content to social media channels. Pages like Facebook and Twitter provide badges you can embed on your site, which visitors can use to share your content without leaving your website. Creating an accessible is a basic that people tend to forget. Make sure that every drop down, link, or scroll bar is easy to see and use to give your visitors an easy and enjoyable experience with your website. Using accordion type menus help save space and make your website easier to navigate. Remember that as long as everything is visible, there won’t be any problem with user experience. 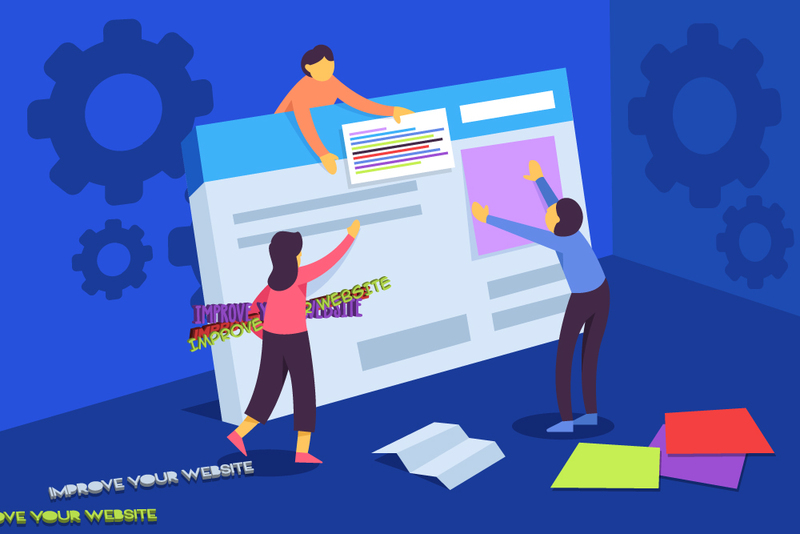 By constantly re-evaluating your website layouts and keeping up with latest trends from time-to-time, you are providing your visitors a breather from the usual and giving them an enjoyable time while they are on your website. Hopefully, this excellent collection of cool tips was worth your read especially if you are in dire need of immediate website updates.